We'll meet at the Puna Sculpture at Walker Park next to TOPA Financial Center. A Russian-built fort that was fought over three times, the first paved road in Honolulu, and the original site of the Queen’s Hospital. In ancient times, a sacrificial heiau, said to have the heads of its victims posted on stakes lining the borders, rested just makai of the old fort. 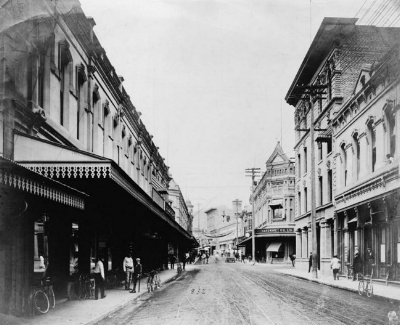 The face of Honolulu has changed hundreds of times over the years, depending on commerce, public need, and private entities. Rich in history, full of life... and death. Haunted tales abound in this hot spot of business and social activity. Come learn some of the ghostly history of this former center of commerce and trade. Click the link below to view dates and book your experience.